In order to give a professional presentation in the modern office environment, you need an AV cart. What is special about an AV cart? With audio visual carts you can do much more than simply project slides. 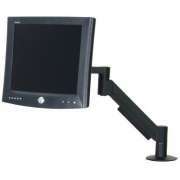 This convenient technological tool holds all of the electronics you need to give multimedia presentations. If you know that you need an AV cart for one particular purpose, Hertz Furniture has a number of specialized models. We carry TV carts and projector carts as well as units that are designed to hold a number of digital tools. Just roll your cart in and you are ready to go. Should I get a wood or steel AV cart? Like all office and school furniture, one consideration to think about when choosing an AV cart is material. We have wooden models and metal models as well as ones that are constructed from injection-molded thermoplastic. Each of these tough materials has unique advantages. The right choice will depend on the particular functions and appearance that appeal to you. What kind of wheels do your audio visual carts have? A distinguishing feature of our entire audio visual cart collection is easy mobility. Every unit that we offer rolls on high-quality casters for virtually effortless transport from place to place. It is important to make sure that at least two of the casters are locking so media carts can be secured in position, and won&apos;t move during presentations. Mobility is essential for any office or school in which equipment is shared among a number of people. Each media cart has a unique set of features that are designed to help your lecture or planning session run smoothly. Many audio video carts include extra shelves below the main surface which can store additional equipment and accessories. For maximum convenience, you might choose shelves that are enclosed by a locking cabinet which enable you to keep your electronics secure in a convenient place when they are not in use. Pull-out shelves also come in handy if you need an extra surface for notes or a laptop. What is the best way to hook up AV equipment? Multimedia presentations sometimes require a significant amount of equipment. In order to ensure that you have enough outlets for plugging-in devices without having wires running across the room, it is a good idea to choose a media cart on wheels with a built-in powestrip. This convenient arrangement enables you to plug everything into the cart itself. It offers a safe way to bring technology into the classroom, by keeping wires out of the way. Other great features you can look into are wire-management grommets for clutter elimination and perforated cabinets for ventilation. What will fit on an audio visual cart? Perhaps the most important consideration when selecting your ideal AV carts is which electronic devices you would like to support. The basic audio visual carts have a space for a laptop and an overhead or LCD projector, but you may want something that has space for more. We have options that can hold an overhead projector, document camera, and even desktop computers. TVs require specialized tv carts that are designed specifically to hold a large screen and include a VCR shelf. Tuffy Carts from H. Wilson come in a huge selection of heights and shelf configurations. You can choose from models that have two or three shelves, or even ones with a built-in locking cabinet. Shelves are available in a choice of hues so you can coordinate your cart with your office or school. An optional center drawer is available for a convenient place to store accessories and wires. No modern institution is complete without a functional AV cart. If you want your company or school to stay on the cutting edge, you need a way to present professional multimedia presentations. Hertz Furniture&apos;s huge selection of media carts has tons of great choices and varied configurations so you can find the av cart you are looking for, no matter what your budget is. If you need help choosing the best model, understanding exactly which features you need, or determining the ideal configuration, contact the Hertz Design Center.